At St Saviour’s we aim for all our children to become fluent, confident readers who are passionate about reading. At St Saviour’s we use Read Write Inc Phonics (RWI) to give your child the best possible start with their literacy. We have put together a guide to how the RWI programme works together with some useful links. Mr Immanuel is our Phonics lead teacher, so if you have questions about RWI, contact school who can refer you to him. Please take the time to read the information as it will provide invaluable information as to how you can help and support your child in reading. Read Write Inc (RWI) is a phonics complete literacy programme which helps all children learn to read fluently and at speed so they can focus on developing their skills in comprehension, vocabulary and spelling. The programme is designed for children aged 4-7. At St Saviour’s, pupils begin the programme in Reception and we will continue teaching RWI to children beyond the age of 7 if they still need support in their reading. 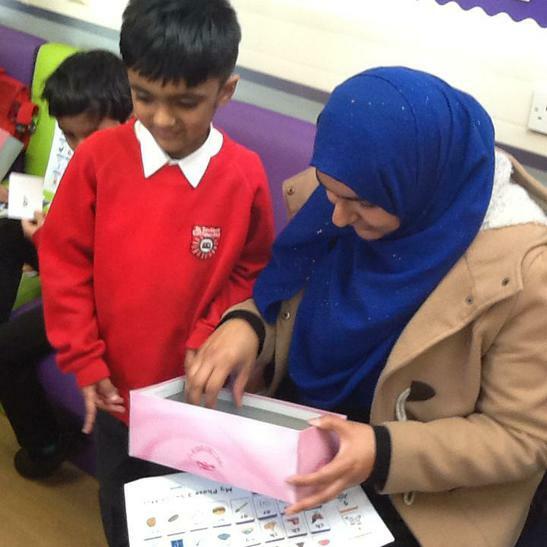 All children are assessed regularly by our Phonics lead teacher so they work with children at the same level. This allows complete participation in lessons. Children follow the same format as Reception but will work on complex sounds and read books appropriate to their reading level. Daily sessions of RWI phonics last between 30 and 40 minutes. 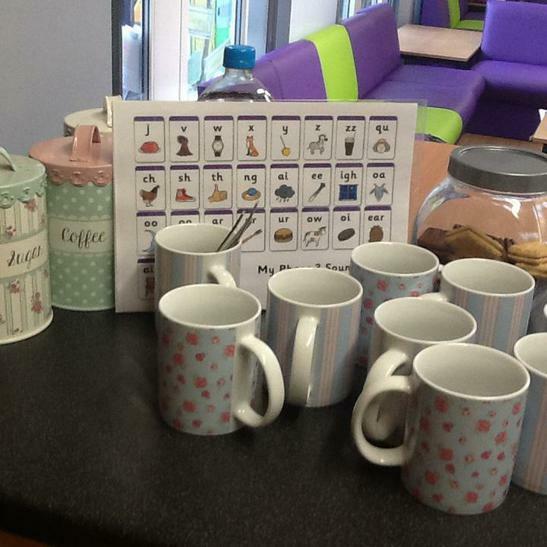 We will be running a Phonics Café fortnightly for parents of Year R and Year 1 children. It will be held on a Thursday afternoon at 2.30pm - 3.15pm in the Parents Room. The classes will give parents the opportunity to learn how to say the phonic sounds correctly, make games for their children and learn ways to help their children at home with phonics and reading. The first half of the session will be for parents only and the second half will be for parents and their children. We are currently running the Phonic Play Bag scheme for children in Year 1 for Phases 1, 2 and 3. Sessions run every Tuesday morning from 8.30am - 8.55am. If you have any questions regarding this scheme please speak to Mr Immanuel or Mrs Cherry. Listening skills can be difficult to master for many children. Help children develop their listening skills. This video features animal sounds. After a short while, four choices of animal appear. Which animal sound can you hear? This listening game can be used to help hone listening skills in a fun and interactive way. This is an 'I spy' video to help children learn the initial sounds s, a, t and p. It is also ideal for learning new vocabulary. This is a video I use to support the children in my class and their parents with understanding the s, a, t and p graphemes and their phonemes, as taught using the Letters and Sounds Phase 2 Phonics programme. Teaching phonics can help some children improve their reading as they learn to blend the phonemes for reading. This is a video I use to support the children in my class and their parents with understanding the i, n, m and d graphemes and their phonemes, as taught using the Letters and Sounds Phase 2 Phonics programme. Teaching phonics can help some children improve their reading as they learn to blend the phonemes for reading. This is a video I use to support the children in my class and their parents with understanding the g, o, c and k graphemes and their phonemes, as taught using the Letters and Sounds Phase 2 Phonics programme. Teaching phonics can help some children improve their reading as they learn to blend the phonemes for reading. This is a video I use to support the children in my class and their parents with understanding the ck, e, u and r graphemes and their phonemes, as taught using the Letters and Sounds Phase 2 Phonics programme. Teaching phonics can help some children improve their reading as they learn to blend the phonemes for reading. This is a video I use to support the children in my class and their parents with understanding then, b, f and ff graphemes and their phonemes, as taught using the Letters and Sounds Phase 2 Phonics programme. Teaching phonics can help some children improve their reading as they learn to blend the phonemes for reading. This is a video I use to support the children in my class and their parents with understanding the l, ll and ss graphemes and their phonemes, as taught using the Letters and Sounds Phase 2 Phonics programme. Teaching phonics can help some children improve their reading as they learn to blend the phonemes for reading. This is a video I use to support the children in my class and their parents with understanding how to read captions containing the tricky words to and the, as taught using the Letters and Sounds Phase 3 Phonics programme. Teaching phonics can help some children improve their reading as they learn to blend the phonemes for reading. This is a video I use to support the children in my class and their parents with understanding how to read caption containing tricky word no and go, as taught using the Letters and Sounds Phase 2 Phonics programme. Teaching phonics can help some children improve their reading as they learn to blend the phonemes for reading. This is a video I use to support the children in my class and their parents with understanding the j, v, w and x graphemes and their phonemes, as taught using the Letters and Sounds Phase 3 Phonics programme. Teaching phonics can help some children improve their reading as they learn to blend the phonemes for reading. This is a video I use to support the children in my class and their parents with understanding the y/ z/ zz/ qu graphemes and their phonemes, as taught using the Letters and Sounds Phase 3 Phonics programme. Teaching phonics can help some children improve their reading as they learn to blend the phonemes for reading. This is a video I use to support the children in my class and their parents with understanding the ai/ ee/ ugh/ oa vowel graphemes and their phonemes, as taught using the Letters and Sounds Phase 3 Phonics programme. Teaching phonics can help some children improve their reading as they learn to blend the phonemes for reading. This is a video I use to support the children in my class and their parents with understanding the oo/ ar/ or/ ur phonemes and their graphemes, as taught using the Letters and Sounds Phase 3 programme. Teaching phonics can help some children improve their reading as they learn to blend the phonemes for reading. This is a video I use to support the children in my class and their parents with understanding the ur, ow, oi and ear phonemes and their graphemes, as taught using the Letters and Sounds Phase 3 Phonics programme. Teaching phonics can help some children improve their reading as they learn to blend the phonemes for reading. This is a video I use to support the children in my class and their parents with understanding chunking, as taught towards the end of the Letters and Sounds Phase 3 programme. Teaching phonics can help some children improve their reading as they learn to blend the phonemes for reading. Initial consonant blends appear at the beginning of words. This video feature some common consonant blends, with words to read. The consonant blends included are br, cr, dr, fr, gr and tr. I am finding more and more that people are finding these videos useful when learning to speak English. Final consonant blends appear at the end of words. This video feature some common consonant blends, with words to read. The consonant blends included are nt, sk, lp, lf and lk. I am finding more and more that people are finding these videos useful when learning to speak English.